The last LDN2SFO trip took place from 27th April to 1st May. As in previous years, participants heard from successful entrepreneurs (including British entrepreneurs who have moved to the Bay Area) and investors. A partial list of speakers is below. The group were based in San Francisco but spent two days travelling by minibus to the south Bay Area. For more information, see the FAQ. 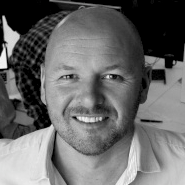 Andy McLoughlin is the EVP Strategy of Huddle, a cloud collaboration service that he co-founded in London in 2006. In 2010, Andy re-located to the US to open Huddle’s San Francisco office. Huddle has raised nearly $90m in investment, and is used by over 10,000 companies and organisations. Andy has also made angel investments in more than 20 tech startups. Phil Black is a co-founder of True Ventures, which specialises in early-stage investments. Phil has worked in venture capital since he graduated from Stanford in 1988. True Venture's investments include Fitbit, GigaOm, Automattic, and British fintech startups Kurtosys and Apply Financial. Xochi Birch is originally from the Bay Area. She met her husband Michael in London while she was studying abroad, and they moved to San Francisco in 2002. In 2005, they co-founded the Bebo social network, which grew rapidly, reaching over 45 million registered users by 2007. In 2008, AOL bought Bebo for $850m. After selling Bebo, Xochi and Michael launched several new ventures, including The Battery, a private members club in San Francisco, and Monkey Inferno, a tech incubator. In 2013, they re-acquired Bebo for $1m and it relaunched last year, as a mobile platform for social apps, under the leadership of Monkey Inferno CEO, Shaan Puri. Matthew Prince is the co-founder and CEO of CloudFlare, which protects millions of websites from DDoS attacks, handling about 5% of the world's web traffic in the process. Matthew has a background as a programmer and lawyer, and was an Entrepreneur-in-Residence at Highland Capital Partners. He and his co-founder, Michelle Zatlyn, came up with the idea for CloudFlare while they were at business school together. 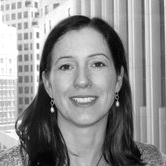 Helen Moore is a vice-consul for UK Trade & Investment at the British Consulate in San Francisco, where she has been helping British technology companies expand and discover opportunities in the Bay Area since 2002. David Langer is the co-founder and CEO of Zesty, which delivers healthy food from local restaurants. David was previously co-founder and CEO of London-based GroupSpaces. David moved to San Francisco in 2012 and the following year, he launched Zesty, which was incubated by Y Combinator. Duncan Logan is the founder and CEO of RocketSpace, a co-working space in San Francisco which has incubated dozens of successful startups, including Uber and Spotify. Born and raised in Scotland, Duncan moved to San Francisco in 2008 and founded RocketSpace in 2011. He had previously founded two other startups and was the VP of Global Sales & Marketing Operations at MessageLabs. Rich Aberman is the co-founder and chief product officer of WePay, an online payments provider for marketplaces and platforms. Roch dropped out of college when he and his co-founder Bill were accepted into Y Combinator in 2008. They have since grown the company to over 40 people, and raised $34m from investors including Max Levchin (who co-founded Paypal) and Dave McClure (500 Startups). Andrew Brackin is a serial British entrepreneur who founded his first company at the age of 14. He is currently based in San Francisco, having been selected as a Thiel Fellow.